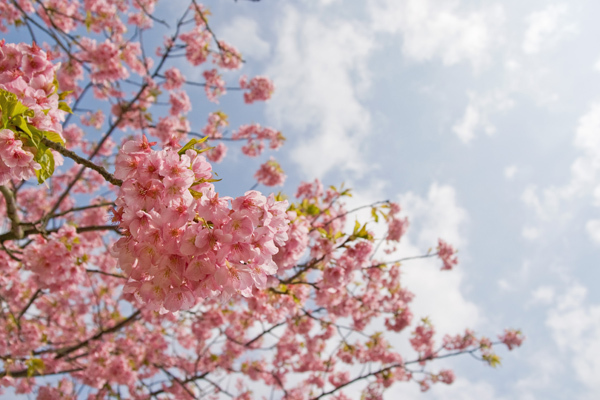 Tokyo — A cherry tree seed, once aboard the International Space Station, has bloomed years ahead of schedule, reports AFP. The four-year-old sapling bloomed on April 1st, and has baffled the Buddhist brothers at the temple in centre Japan where the actual tree is growing. “We are amazed to see how fast it has grown,” Masahiro Kajita, chief priest at the Ganjoji temple in Gifu, told AFP. The pip harvested from the “Chujo-hime-seigan-zakura” tree, which was taken as part of a project to gather seeds from different cherry trees from around Japan, were sent to the ISS in November 2008 and returned to earth in July with astronaut Koichi Wakata. 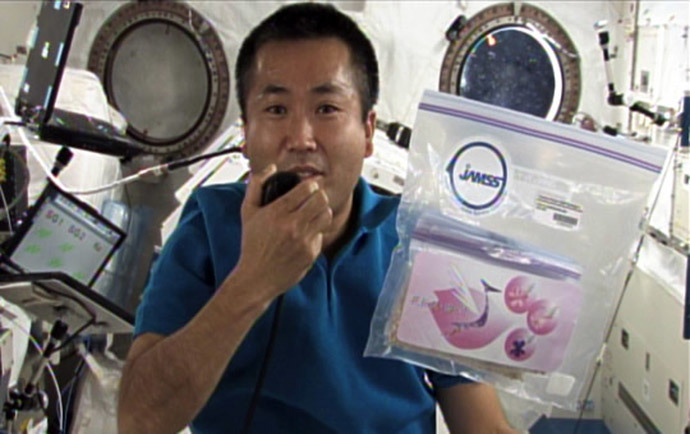 Koichi Wakata, seen here, with the cherry blossom seeds aboard the International Space Station. By April this year, the space cherry tree had grown to about four metres tall, and according to AFP it suddenly produced nine flowers each bearing give petals, compared to about 30 flowers of the parent tree. What has surprised everyone is that it takes about 10 years for a cherry tree of a similar type to bear its first buds. Kaori Tomita-Tokoyani, a reseracher at the University of Tsukuka who took part in the project to gather the seeds told AFP she was stumped by the new growths. “We still cannot rule out the possibility that it has been somewhat influenced by its exposure to the space environment,” she said. She notes that cross-pollination with another species could not be ruled out, but a lack of data its hampering any explanation of this surprising development. “Of course, there is the possibility that exposure to stronger cosmic rays accelerated the process of sprouting and overall growth,” she said.